I feel "secure". In fact, I'm so tired right now, I feel like taking a half-hour power "security". I have a "friend" who far too often puts "certain things" in "quotes" for almost no reason. Like he'd ask me about my latest "FurCon" and if I did any "fursuit" events. I suppose he's trying to just use the "terminology" but he puts it in "quotes" which get really... "distracting." Yes. I dislike that misuse far, far more than actual "scare quotes," which server at least some form of meaning. I think, in some cases people are using them to make it clear THEY aren't the one saying this. Yep, that's a “good” one! No, really! That one that stuck in my memory was: No "dogs" allowed. 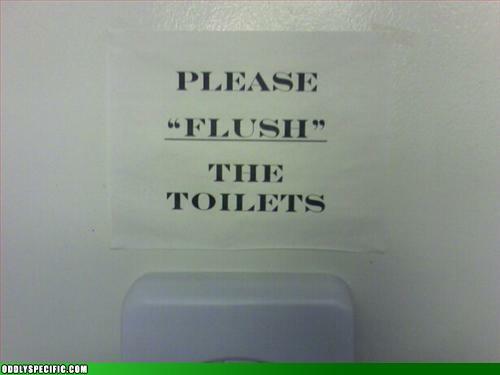 I think people use quotation marks for "emphasis". I've begun to collect sentences that illustrate the importance of commas, which people often forget to use. It's time to barbecue boys and girls! Spock is not an elf dumbass. Snidely Badperson, you are charged with killing Violet Victim, a human being in violation of the penal code. "The author wishes to thank her parents, Mother Theresa and the Pope."